Emojis are fast becoming the new language of the Internet, at least according to a new study that details the widespread use of emojis on Instagram. The research, penned by Thomas Dimson, a software engineer behind Instagram’s Hyperlapse app, states that nearly half of the text on Instagram contain emojis. This includes comments, captions and the recently-introduced emoji-capable hashtags. The trend took a sharp uprise after emoji keyboards were introduced on iOS and Android in 2011 and 2013, respectively. 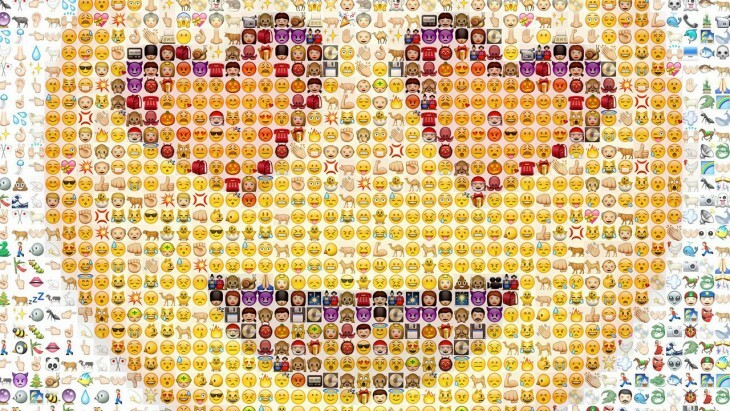 The findings also noted that Finlanders used the most emojis in their Instagram posts, with 63 percent of the text consisting of the cartoony emoticons. Another fun factoid: The ? emoji is the most popular character used on Instagram – not surprising, given the Internet’s love for sharing viral, funny and entertaining photos and videos, and the emoji’s replacement for Web colloquials like “LOL” and its variants. With the recent WordPress 4.2 update that supports emoji (even in the URL!) and the rise of the Screenshort, it’s clear that Internet citizens are continuing to favor visuals over text, reverting our society back to the good old hieroglyphic days. Obviously, this also means I should quit my job and end this post now with an emoji before I lose your attention ?? ?❤️?